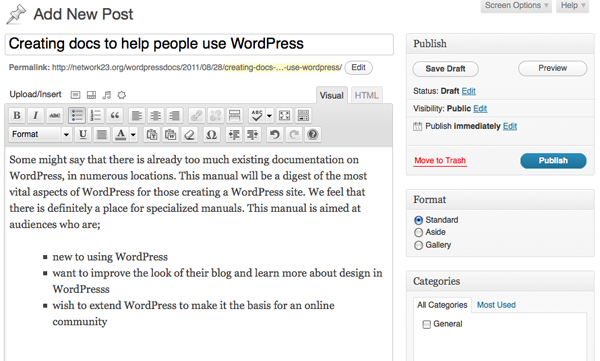 Both, however, allow you to easily create blog or news posts, or pages with more static information. You can also allow comments on your content. 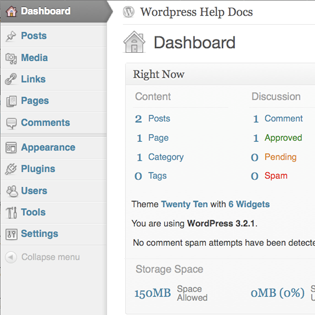 WordPress has many community-contributed (and reviewed) plug-ins. These plug-ins allow you to add functionality to your site. If you want to post your content automatically to twitter, to add a tag cloud or track visitors to your site, then it is likely that a plug-in already exists for what you need to do. There are also many different themes to choose from, which allow you to choose a sleek, elaborate or functional look for your site, depending on what is appropriate.